Over the past few seasons, we have seen quite a number of high-profile, broadcast network sci fi shows debut to high ratings only to fall into a death spiral that has led to their eventual cancellation. Shows like FlashForward, V, The Event, Terra Nova, and more have followed this path an become classic examples of the failure of the genre on the old-school television networks (and I will be looking at them in more detail in an upcoming post). And this current season, we have seen Avengers spin-off series Agents of SHIELD debut to huge ratings but then experience a quick drop-off and continued ratings slide that currently seems to be suggesting that it could fall victim to the same death spiral that claimed the shows mentioned above. SHIELD bowed in September to a 4.7 rating in the 18-49 demographic based on the overnights which was the highest score for a sci fi show on the broadcast networks since the premiere of V in 2009 drew a 5.0 mark (before heading on its own death spiral). SHIELD dropped notably with its second episode to a 3.3 rating and has continued to slide since then, down to a 2.5 score with its latest outing last week. As it stands, its numbers are still okay and it has landed in the Top 20 for broadcast network shows every week that it has aired a new episode so far. But it is an expensive show to produce, and the level it is currently at in the Nielsens is probably the lowest that ABC network execs will accept before they start reconsidering its future or stepping in and demanding some retooling to bolster the ratings. So with all this in mind, Is Agents of SHIELD on the verge of following the same path to failure as V, FlashForward, The Event, Terra Nova, and others? It’s too soon to say for sure, but the show definitely needs to make some course adjustments if it wants to stop its ratings declines, or the network has to reconsider their expectations of the show. The fact is that SHIELD is certainly an expensive show to produce with its airplane base and ultra-high-tech visuals. But it still doesn’t come anywhere close to the level of spectacle of The Avengers (which it spun-off from) or the other Marvel superhero movies which is apparently what the initial audience was looking for. In the show’s favor, it does appeal to the core sci fi fanbase because Joss Whedon and his troupe are helming it and often infuse their trademark cleverness into the scripts. But–mostly likely driven by corporate network mandates–it tries to tread the line between wide appeal and cult show and may not be doing good enough on either side. We saw a similar thing happen with Whedon’s Dollhouse on FOX as the network execs tinkered with that show creatively and it felt disjointed during the early part of its run. Personally, I have enjoyed Agents of SHIELD and it has mostly lived up to my expectations, though I have noticed a drop in quality with the last couple of episodes. But it still has plenty of opportunity to course correct at this point and any of a number of options to select that would appeal to the network execs. One thing it needs to do is embrace its comic book roots and start drawing in other characters from the Marvel Universe. Arrow has been doing this quite successfully over on The CW, and there are literally hundreds of characters from the comics that SHIELD could work into its stories. Also, I think the show should also start playing up the humor angle more heavily as well. Sfx cost money, but laughs can come on the cheap, so if you can’t wow the audience then keep them laughing. The first few episodes had a palpable sense of fun about them and the series really needs to keep that as one of its primary driving forces. And maybe they need to shake up the team a bit. The group we have now is decent, but the writers already seem to have run out of ideas for these characters. And this youth-skewing group seems more appropriate for a CW show so maybe they need to bring in a new member or two that will up the average age a bit and possibly bring in some intensity to balance out the levity. The good news is that Agents of SHIELD is not in the danger zone yet, though its latest numbers have it right on the edge. The show should get a boost from Thor: The Dark World’s performance at the Box Office and the November 19th episode actually deals directly with the fallout from that movie. But any benefits from that will fade quickly so the show needs to have a few more tricks up its sleeve to keep viewers engaged. 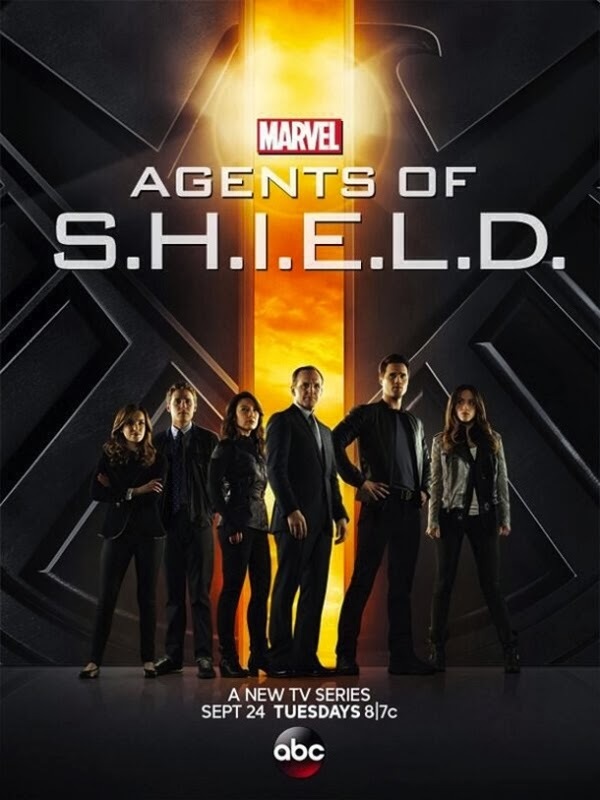 SHIELD has received a full season order meaning that it has time to build back up its audience, but if its numbers don’t hold steady or trend back up, then ABC will be doing some long and hard looking at this one as May approaches and they have to set their schedules for the 2014-15 season. Since it is part of the high-profile Marvel franchise, there’s a good chance they could still keep it going short of a ratings collapse in the second half of the current season. But without improvement in the Nieslen results, they may go for a complete re-tooling of the show and eject Joss Whedon from helming it going forward. For me, that would be a disappointment because I believe that he and his crew can help make this a great show if the network will let them do what they do best. But then network execs often have little patience and may not be willing to look at this big-name entry as the cult-type series Whedon is better known for, with the lower ratings that usually entails. At this point, we can only wait and see. But for my money, I’d rather see this show stick with the pep and energy of the its early episodes with maybe a few tweaks to give it a shot in the arm going forward. With Joss Whedon guiding the show, it can tread that fine line between cult show and broader appeal (as we saw with The Avengers), but the network execs have to give him the freedom to run with that and also tender their expectations some when reviewing those overnight Nielson results. Agents of SHIELD is not yet part of the dubious club the currently includes V, FlashForward, The Event, Terra Nova and more (and which could be shortly welcoming Revolution into its ranks), and hopefully it will steer clear of following that path. But at this point it looks like it is going to need to course correct at least a bit if wants to keep its ratings slide from turning into an all-out death spiral.